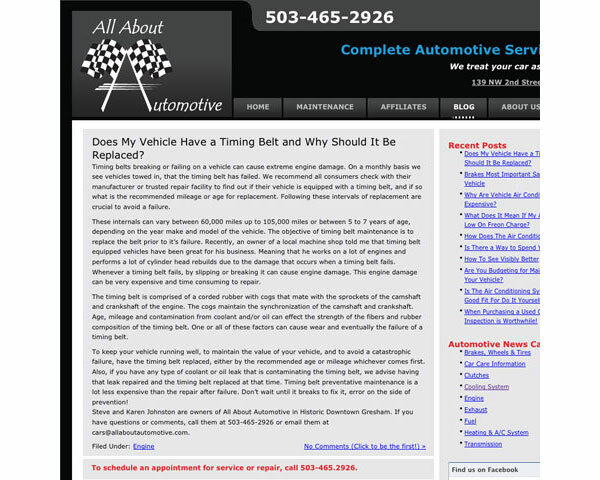 To create a more robust site, I helped guide All About Automotive’s latest upgrade through search engine optimization (SEO), seamless integration of a WordPress Blog and the use of a mobile-ready website. Here is ROI data from this client. 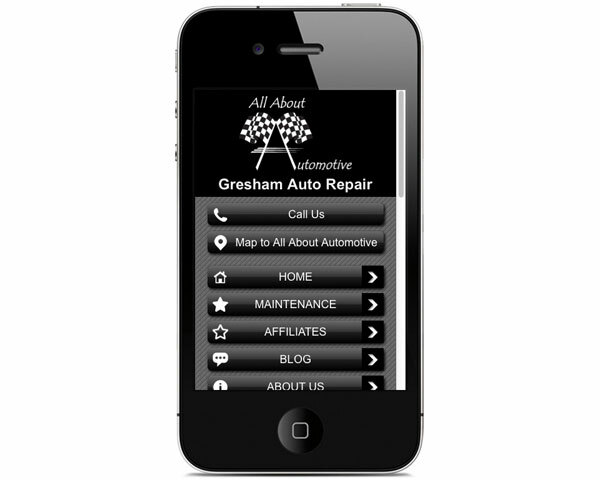 The total number of new customers year to date that have found AAA through their website for 2012 year to date is 102. Total revenue from those new customers created for 2012 YTD is $43,425. The percentage of new customer revenue that came from the website YTD is 16%. 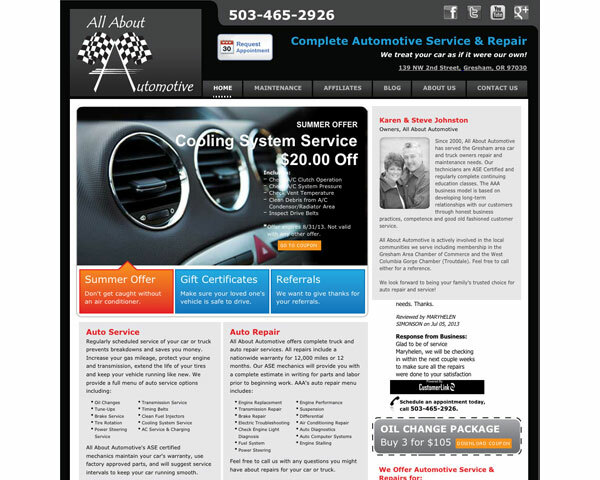 Resolutions also helps design and coordinate All About Automotive’s print collateral.